It seems like the thing to do this time of year is to make lists. Best of, Worst of, Top Insert Random Number and Count Down From There, types of lists. So please let us present to you our… drum roll….Top 10 Things To Do In Vancouver In 2012 (inspired by Inside Vancouver's list). Really it's just a random selection of things to do around the city; the list could have gone up to 200 because there are so many things to do in Vancouver. We challenge you to throw on a Vancouver, we love you shirt, do each one of these activities listed over the next year, and send us a photo of you doing them! We hope that 2012 is full of hope, adventure, and renewed priorities for every one of you. May this list be a resolution in itself for you to go out and enjoy life just a bit more. 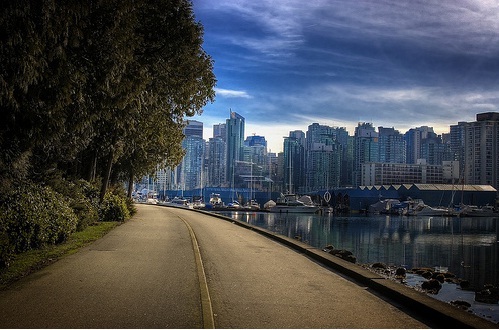 If you are in Vancouver you have a beautiful playground at your finger tips, explore it. Is there an activity you think should have made our Top 10? Leave a comment with what things you would add to our list! And send photos of you doing any of these activities to us right here!